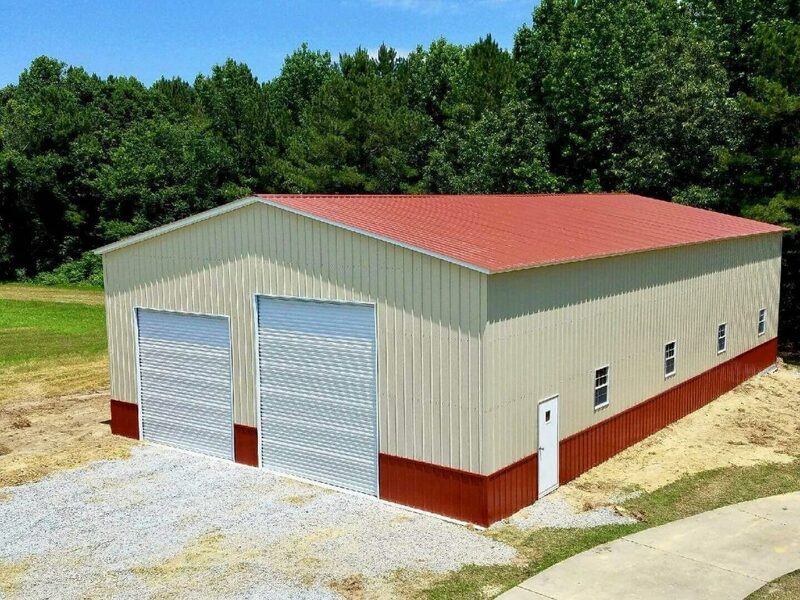 While the 40’x60’ building is a very popular configuration, a 50×60 metal building from Metal Barn Central gives you an extra 600 square feet of space to meet more of your storage needs. You also have the ability to customize the building height to be able accommodate taller vehicles or equipment, including everything from an RV to a combine harvester. With clear span framing, this building provides 3000 feet of open, column-free space that can be customized and divided any way you choose. 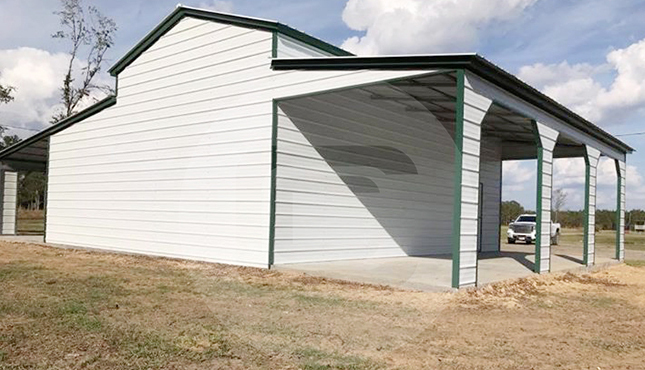 You could even choose to designate a portion of the 50’x60’ metal building to be used as insulated, climate-controlled living space (complete with walk-in doors and windows), and then set aside the rest of the building for open storage space. 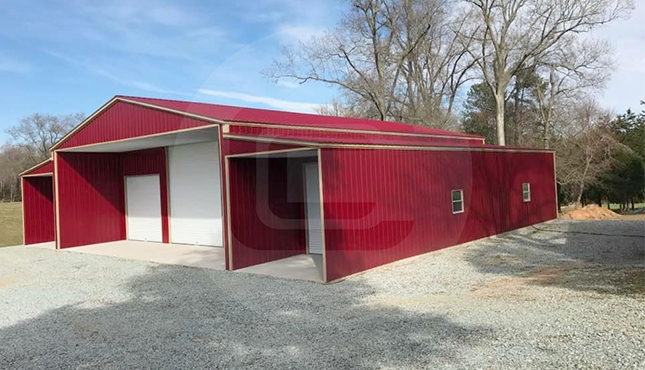 A metal building of this size may be larger than you need at home, but it’s ideal for many farm and business applications. Farmers and ranchers like the room a 50’x60’ metal barn supplies for keeping hay, equipment, or livestock. Churches or schools could divide the structure into classrooms or offices or choose to just leave the space open for a large gathering area or recreational area. 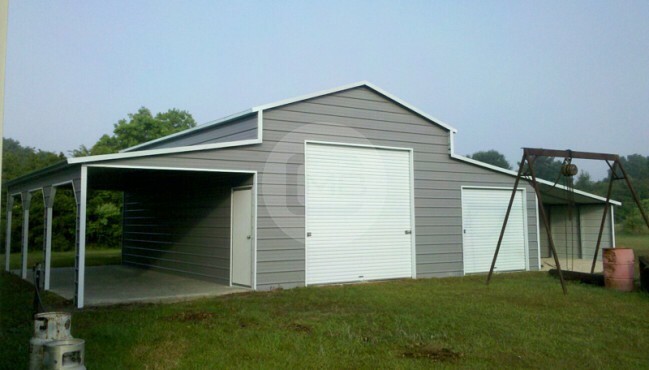 A metal building this size also works great as a storefront, restaurant, or auto repair shop.